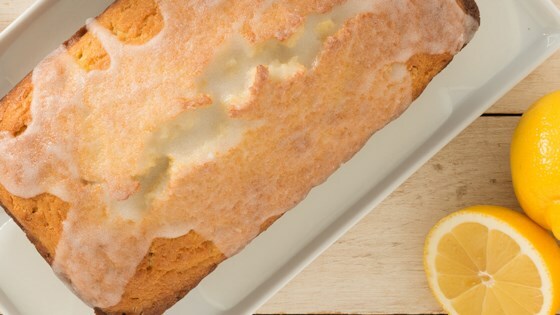 "Fresh lemon zest brightens up this citrusy pound cake. The glaze makes the cake moist and irresistible." Preheat oven to 325 degrees F. Line an 8 x 4-inch loaf pan with parchment paper and set aside. Great pound cake. Nice and moist. My only substitute was that I cut the flour in half and replaced it with Flax meal to cut down on the carbs. Great taste. I will add poppy seed next time to it. Absolutely loved the lemon cake, but not a complete fan of the glaze. I do not consume sugar substitutes much so I referred to friends and family who do. They loved it. I will make it again! Had some issues with this recipe. The batter was weird, the glaze never glazed, and it tasted off. I’m not a great baker, so I still gave it 3 stars.